Wouldn't it be nice to be able to have such control over your emotions that you could be happy practically all of the time? 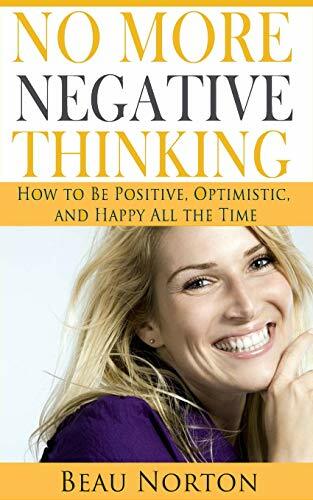 Well, it's actually possible, and this book describes multiple different ways that you can "train your brain" to be happy and positive all the time, regardless of your current circumstances. Happiness is available to all of us, but for many of us it is buried under many layers of negative thoughts. No More Negative Thinking: How to Be Positive, Happy, and Optimistic All the Time will show you how to eliminate your negative thoughts and replace them with positive ones that bring you happiness and peace of mind. In a few short weeks, you can be the master of your emotions. Topics covered in this book include: Awareness: The foundation and first step towards positive change. Affirmations: 3 ways to use affirmations to train your brain for success and happiness, plus a free affirmation audio track you can listen to for faster results. Visualization: Advanced visualization techniques that allow you to create positive change in your life in a very short amount of time. Find your bliss: The power of living in the moment and how to find activities that bring you peace of mind and long term happiness. Healthy body = happy mind: The importance of giving your body what it needs and how it leads to dramatic increases in happiness. Human relationships: How to repair damaged relationships and how to know when you should let go and move on to better things. Many years of relentless study of some of the happiest and most successful people in the world have preceded me writing this. I bring this to you with hopes that you can use it to enhance your life and go on to live the life you always dreamed of. You deserve to be happy.